Parish Gutters and Roofing, Inc. Comment: Want to replace existing metal gutters and blistering metal fascia. Comment: Replace gutters and downspouts. Repair any damage to wood underneath. Comment: I would like to get an estimate for.70461.The customer needs a estimate on gutter on the backside of home. Comment: Need to update existing gutters. The old gutters will be removed prior to installation to replace some of the wood and paint it. 1401 E. Saint Bernard Hwy. Maverick Roofing & Renovation, Inc.
Slidell Gutter Cleaning & Repair Services are rated 4.82 out of 5 based on 335 reviews of 16 pros. 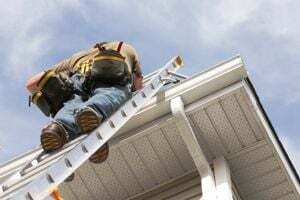 Not Looking for Gutters Contractors in Slidell, LA?